Need protective eyewear that fits your style? Our WX VALLUS has you covered! Featuring a bold design, these high-wrap frames have durable temples with thin accent lines that highlight the Wiley X logo. 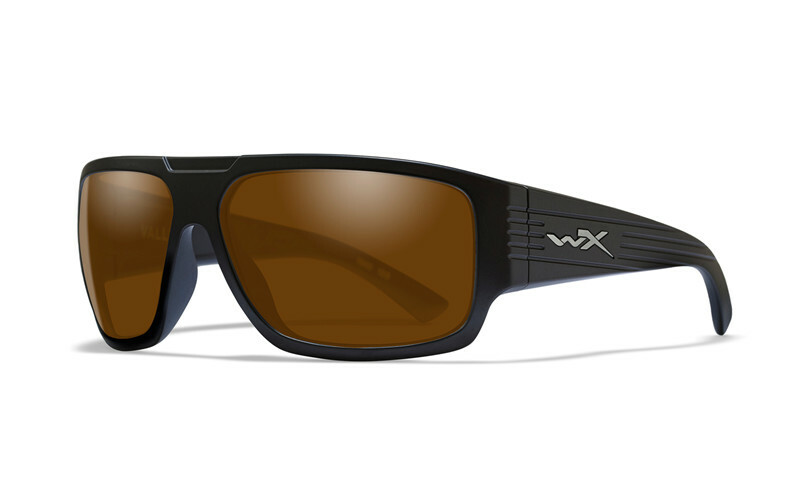 Despite being a full-frame model, the WX VALLUS is lightweight providing you with hours of comfort. Now is the time to start looking good while staying safe. This Polarized Amber lens has no mirror and is therefore less flashy while still providing high contrast and true depth perception. The build-in Filter 8TM blocks all glare and as all other Wiley X lenses these are made from shatterproof polycarbonate with a special scratch resistance feature, and they provide 100% UV protection.